The book fundamentally errs by comparing India's northern and southern states. As a student of political economy, if someone asks me to draw similarities between Uttar Pradesh (UP) and Tamil Nadu (TN), I would point out political theatre as the one thing in common. In both states, family-run parties - the Yadavs of the Samajwadi Party in UP and Karunanidhi's clan that controls DMK in TN - have been challenged by parties dominated by a woman, Mayawati and J. Jayalalithaa, respectively. Apart from this, there is hardly any similarity between the two states. Herein lies the problem with this book. To put across their point, the authors compare the two states. The paramount finding is that though the south (TN) was somewhat better placed for over two decades initially, it was only in the post-liberalisation period that it could realise its potential and surge forward. The book puts across quantitative data on proximate and foundational factors based on interviews with officials and scholars in both the states. But to my mind, it is rather like comparing apples to oranges. The situation today is that if you compare any state with the parameters of giant-sized UP, then that state is bound to shine. Despite stability in governance for the last eight years, UP is growing only at approximately five per cent. TN has an inborn advantage of being a state with ports, so obviously it will attract manufacturing, and not UP. The study also indicates that the southern Indian state's better proximate and foundational factors facilitate the inward flow of resources for investments in manufacturing and services. 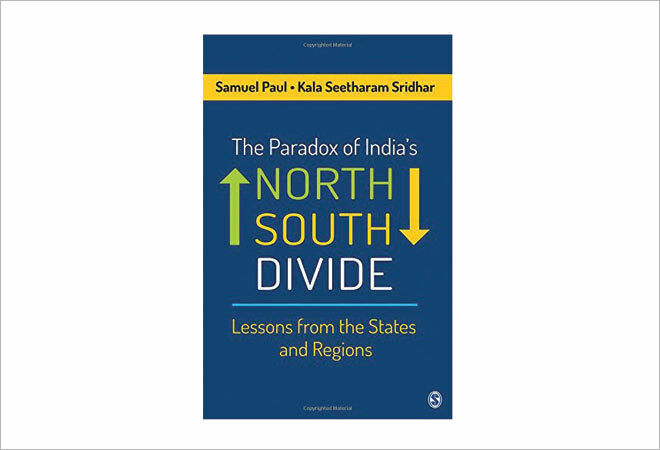 The book infers that the gap between the southern and northern states of India has widened in recent years in terms of per capita income and poverty reduction. An analysis of historical data for over four decades shows that the gap between the two regions was much smaller earlier and that the north (UP) even had a headstart in some areas. But the authors find that southern states were able to take advantage of the liberalisation era. On governance related parameters, too, the south fared well. While the per capita development spending in the north is more, it has not translated into higher literacy rates, superior performance on health care parameters and better infrastructure, leading to lower resource efficiency. As such, the book does not offer any recipes for achieving development, but only points towards an enabling environment for investment, governance, health and education to take advantage of the unfolding economic opportunity. More than answers, this book leaves you with a fresh set of questions.